Jalan Transolutions India Limited (JTIL) started more than 14 years back as a transportation company. JTIL has built a reliable reputation within India's domestic transportation market especially for 2 wheelers transportation. 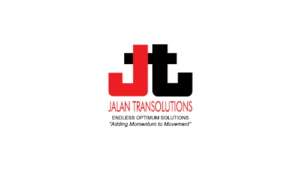 Its goods transportation business is carried under the banner of Jalan Transolutions. With a fleet of about 400 trucks, it can accommodate all of client’s transport requirements. The company also hires third party transportation services for carrying out our logistics operations. The company’s nationwide branch/associate network provides safe and secured services for carry goods from manufacturers to dealers or wholesalers and from wholesalers to retails. The company’s goods transportation services serve a broad range of industries, with customers majorly belonging to automobiles industry (in two wheelers segment). It is IBA (India Bank Association) approved and ISO 9001:2008 Certified Transport Company, specialized in providing optimum transport solutions to top Automobiles Companies. Jalan Transolutions is among leading automobile transport companies (in two wheelers segment only) in North India having PAN India presence with branches located in some major cities of country. Jalan Transolutions IPO allotment status is now available on Karvy Computershare’s website. Click on this link to get allotment status. You can also check allotment status using application number on this link.